Keeper of the Fires, originally uploaded by busychild424. 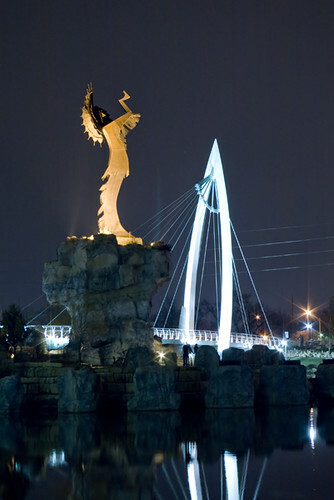 These fires are ignited nightly at the Keeper of the Plains in central Wichita, KS. Snowy Fountain, originally uploaded by busychild424. 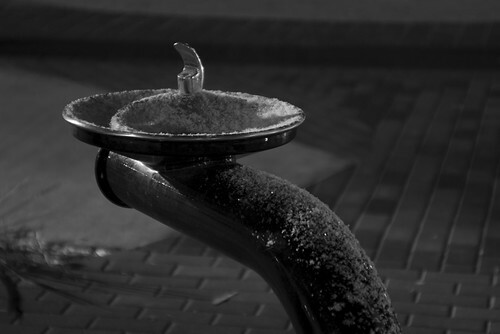 A water fountain after a light snow. 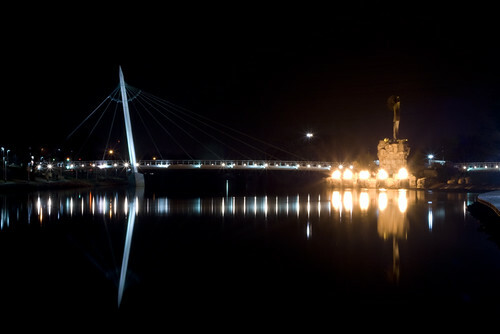 Keeper of the Bridge, originally uploaded by busychild424.